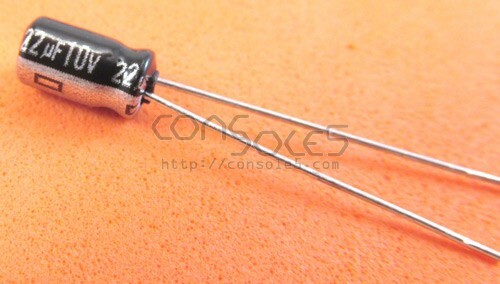 22uF 10v Electrolytic Capacitor, 105c Temperature Rated. Panasonic GA series. 4mm x 7mm. Used in game cartridges, N64 Controller Pak, and more!